Minimalism has a soothing energy that can inspire even the most stressed among us to take it easy. And there's no space better suited for those chill vibes than a bedroom. To turn your own hideaway into a peaceful rest stop, consider these interior techniques used by Finnish designer Laura Seppänen. A foundation of tranquility is established through white-washed walls and matching bedding, while a few darker accessories — from the substantial butterfly chair to the more subtle accent on the overhead lighting — keep the look from feeling too airy. Meanwhile, slim built-in shelves preserve the design's clutter-free feel, and the collection of backward-facing books even help promote the streamlined color palette. While we like that the draped blue throw and the plant's long leaves offer dimension, we're particularly taken with the contemporary pendant light's clean lines and simple finish. It is a perfect reflection of this bedroom's overall aesthetic, and it's easy to replicate when you're looking to make your sleeping quarters feel calm. 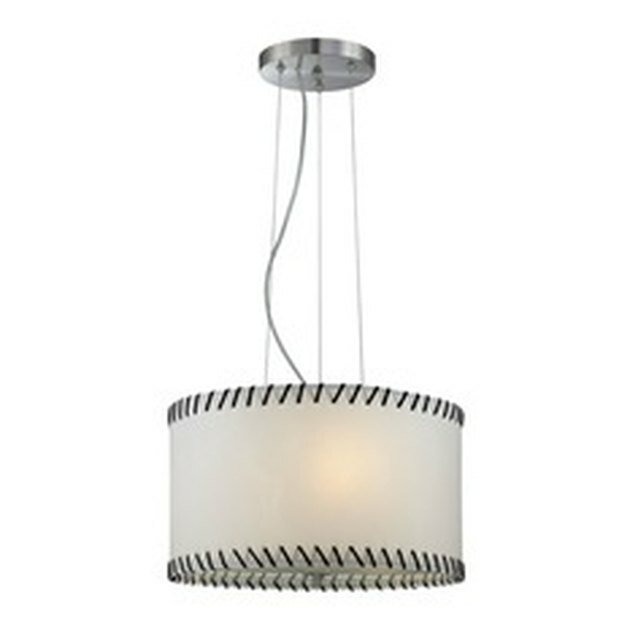 Set your bedroom's tone with a stunning pendant light like this one.